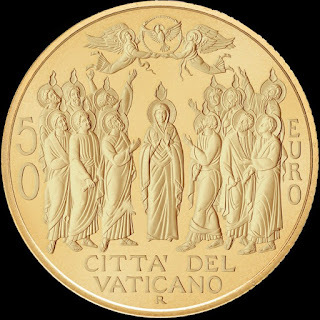 To finish with the new Vatican issues issued on October 4, I present the coins of 20 and 50 euros minted in gold, with which begins a new series of nominee "The Acts of the Apostles" in which its first two pieces they are dedicated to "The Ascension of Christ" and "Pentecost." The Philatelic and Numismatic Office begins a new cycle of issues of gold coins of 20 and 50 euros dedicated to the Acts of the Apostles, the fifth book of the New Testament, which tells how much happened after the Resurrection of Jesus Christ. 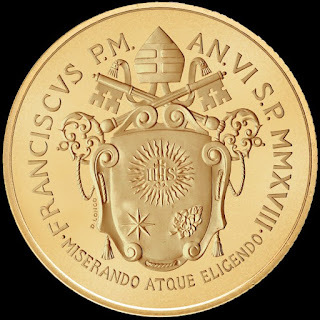 After the dedication to Theophilus and the description of the ascension of Jesus, the Acts of the Apostles narrate the life of the Church of Jerusalem (chapters 1 to 5), the first missions (6-12), the life of the Church of Antioch and the mission of Barnabas and Paul (13-14), the Council of Jerusalem (15), the journeys of Paul (16-21), his arrest and imprisonment (22-28) until his arrival in Rome. 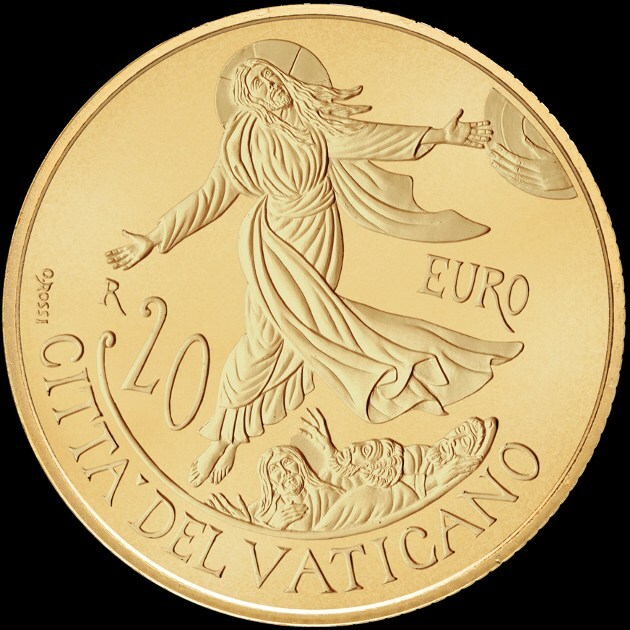 The 20 euro gold coin, made by the artist Orietta Rossi, represents the Ascension of Jesus; when his earthly life ended and his body, in the presence of the apostles, physically joined the Father. 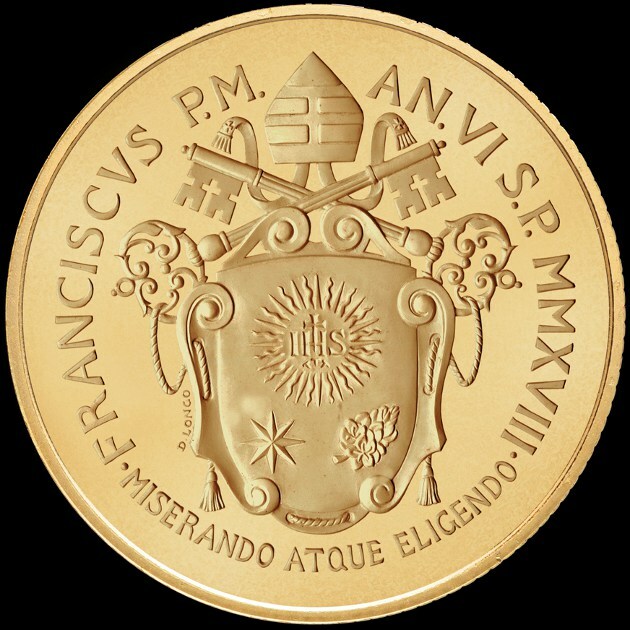 The Ascension, with the words of Pope Francis, "does not indicate the absence of Jesus, but that he is alive in our midst in a new way and asks us to have eyes and hearts to find him, to serve him and to witness to others". 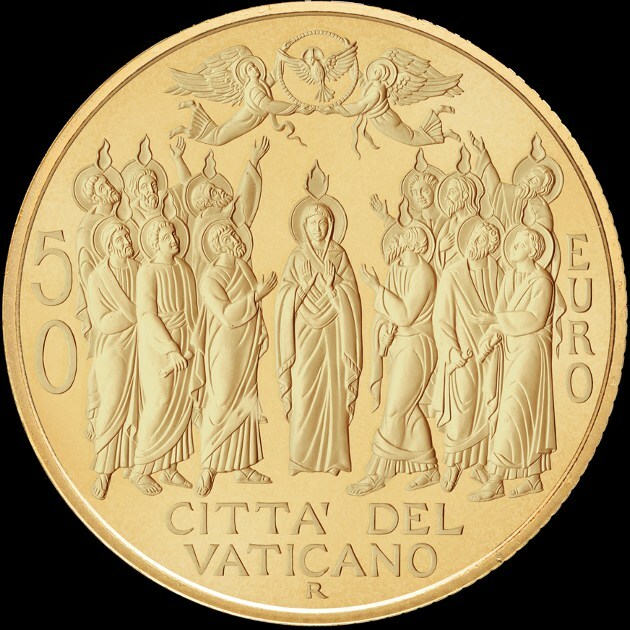 The 50 euro gold coin, the work of Daniela Longo, represents Pentecost, the religious solemnity that recalls and celebrates the descent of the Holy Spirit, in the form of tongues of fire, on the Apostles and the Virgin gathered in the Cenacle. 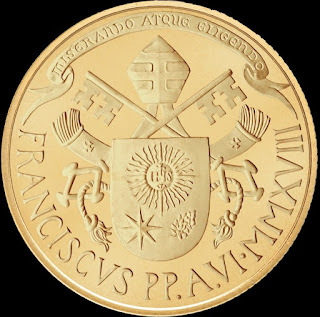 As the impetuous wind changes reality and nature, so the Holy Spirit, the Holy Father affirms in the homily of the Mass on the Solemnity of Pentecost, is the divine force that changes the world, "change hearts and vicissitudes."